These Sweepstakes from Dave Ramsey, QUIKRETE, Therma-Tru and Vistana Signature Experience are the online sweepstakes people are entering right now. Try your luck and enter for a chance to win great prizes like up to $2,000 in cash, up to $2,500 in cash, a Classic-Craft or Pulse Therma-Tru fiberglass door of your choice, and an Hawaiian getaway for two. RetailMeNot iSpy Savings Sweepstakes: Play RetailMeNot’s iSpy Savings every day through September 13, 2016 for your chance to win up to $50 instantly or the grand prize of $5,000 in cash! Dave Ramsey is giving away $5,000 during the Win With Money Giveaway. Enter daily for your chance to win your share of the jackpot to pay off debt or build up emergency savings! Eligibility: You must be a legal resident of one of the 50 United States or the District of Columbia and at least 18 years of age. End Date: 11:59 p.m. on August 31, 2016. Think you have a winning project idea using QUIKRETE? 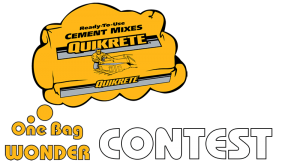 Share photos your DIY project created one single bag of any QUIKRETE concrete mix for a chance to win up to $2,500 in cash! End Date: 11:59:59 PM ET on August. 31, 2016. Calling all homeowners! Here’s your chance to win an entryway makeover! 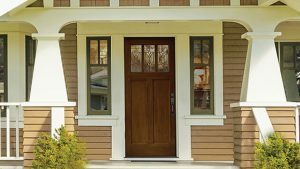 Enter at todayshomeowner.com/doordoover and you could win up to $5,000 for a a Classic-Craft or Pulse Therma-Tru fiberglass door of your choice! Eligibility: Legal residents of the 50 United States and the District of Columbia who are 18 years or older and who are homeowners at time of entry. End Date: August 31, 2016 at 11:59:59 p.m. ET. Maui or Kaua’i? Which one would you choose? Pick your Hawaiian paradise and you could win a trip to the destination of your choice including a 7-night stay, first-class airfare and a helicopter tour! Eligibility: Legal resident of the 50 United States (including the District of Columbia), Canada (excluding the Province of Québec) or Puerto Rico, 21 years of age or older. End Date: 11:59 p.m. EST on September 30, 2016. Limit: One entry per entrant can be earned each day.